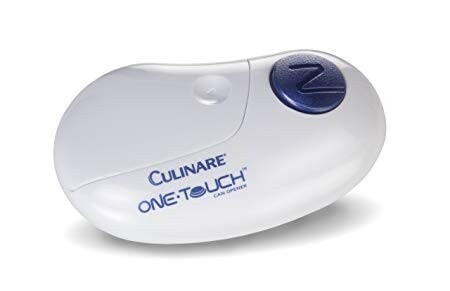 Ideal for those with poor or limited grip this can opener works with one touch of the button to start, and another to stop. Ideal for those with poor or limited grip this can opener works with one touch of the button to start, and another to stop. It has a magnet that lifts lids safely for disposal and its sculptured case is designed to fit easily in your hand. Requires 2xAA batteries (not included).